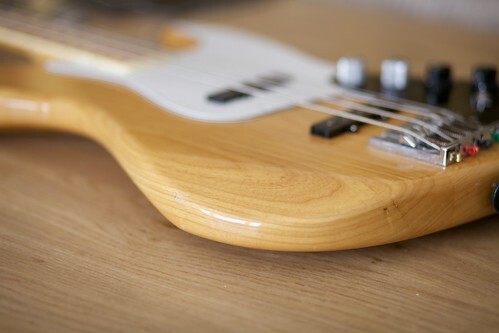 Fender Marcus Miller Jazz Bass (Japan) autographed by Marcus Miller. Fender Marcus Miller Jazz Bass autographed by Marcus Miller. Comes with 3 pick guards: original 3-ply black, white and chrome. The bass has a clear lacquer chip on the side, this can easily be fixed.